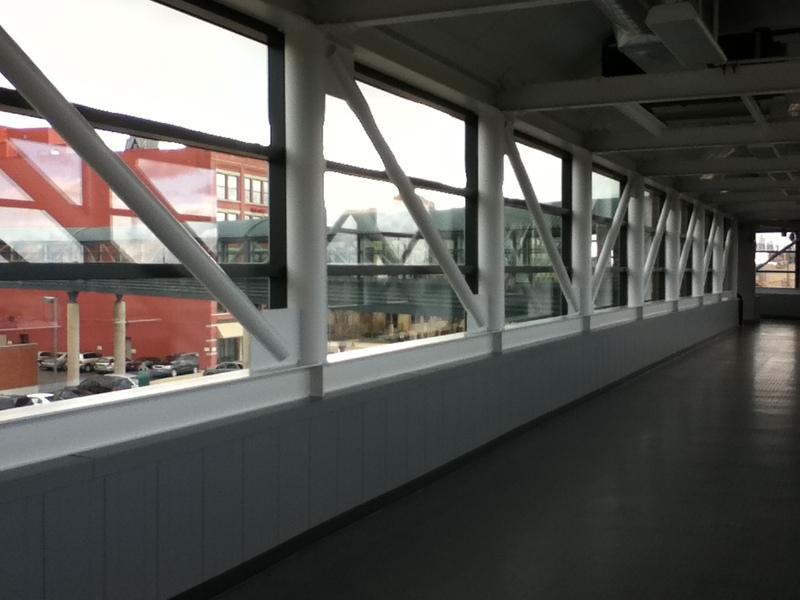 Apparently there is a Skywalk throughout part of downtown Grand Rapids. And, apparently, I'm the only one that didn't know that. I never really noticed that the skywalk connected more than the Marriott to an office building. Partly because I never walk by it...and partly because I apparently don't look up. Lori and I met up for lunch at the Skywalk Deli. 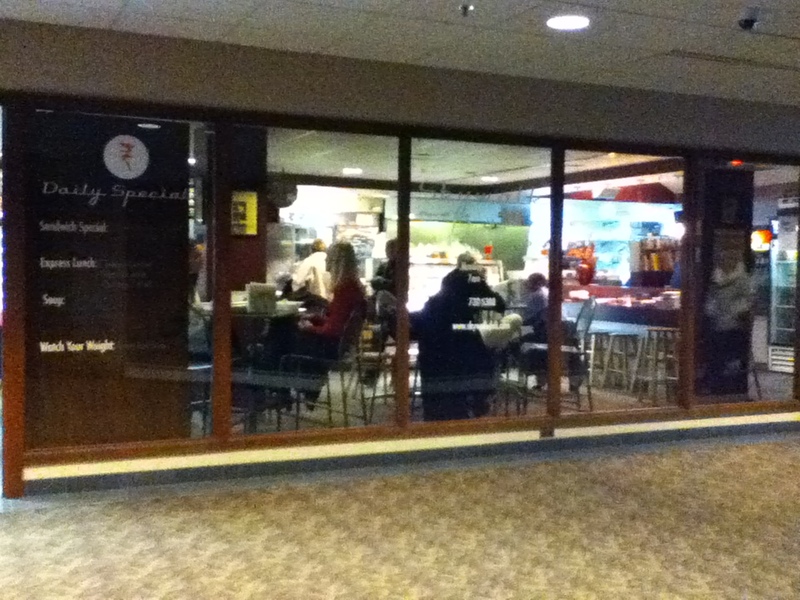 It's a small little sandwich shop on the 2nd floor of the Comerica building. I had a pretty easy time finding it; easier than I had anticipated. Leaving via skywalk (I originally just walked over to the Comerica building) proved a littly trickier because of the construction just outside of the Van Andel. Still, I managed to avoid the first snow flurries for the year and I did make it back to the office. I'll definitely have to walk the length of it sometime just to do it. Skywalks like that always make me think of airports and Summerset Mall.